EDIT: This position is filled. Thank you. 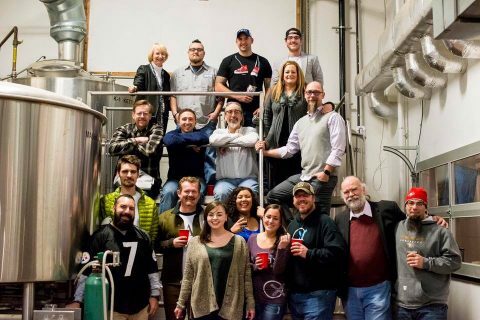 The crew at Old Ox Brewery, a thriving production brewery in Northern VA, is looking for an experienced Head Brewer who is ready, willing, and able to jump in with both feet to lead a fantastic team of brewers. The Head Brewer will play a key strategic role in the continuing growth of Old Ox into a Mid-Atlantic beer lover’s paradise. Old Ox operates a 30 BBL system with current cellaring capacity of 6,000 bbls per year. We are looking for someone who is energetic, passionate about high-quality craft beer, and willing to work hard to help us achieve our collective goals. The head brewer reports directly to the president and is responsible for helping set strategy for the organization. The Head Brewer also is responsible for leading and managing the production staff, overseeing facilities and equipment, managing the supply chain, and managing all aspects of our production operations. The position requires strong leadership, communication skills, and attention to the details that fill the brewing day. – Experience using Microsoft Office products (Word and Excel) and the ability to control production and inventory with a software package such as BeerRun. Old Ox Brewery is a family owned and operated brewery. We’re looking for a candidate who can make an immediate impact and become a part of the extended Old Ox family. We are an equal opportunity employer, offer competitive salary, and a great incentive program.